You are here: Home / LifeTopix / Common Questions / Q. How Do I use Online Projects/Tasks? 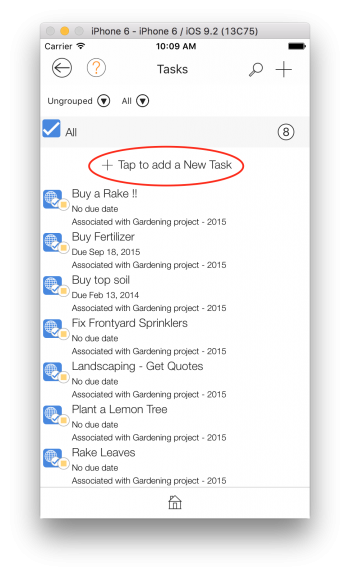 Whenever a task is synced, a local task is created that is linked with the online task. 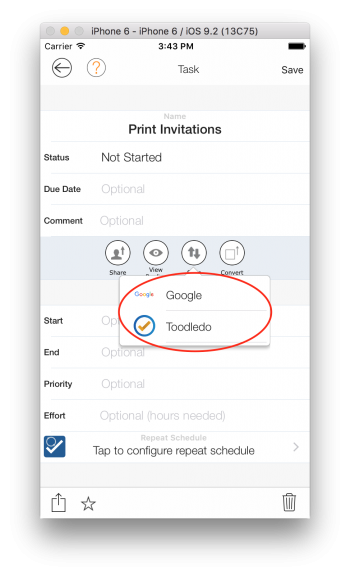 When you open the sync’ed task, you’ll see that the “Sync to Toodledo” is the only sync option available. 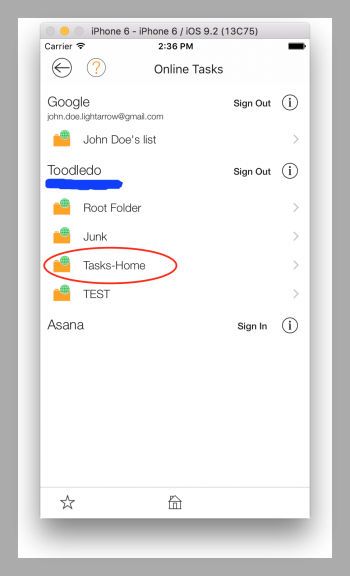 To understand the issues involved in syncing LightArrow app tasks and Toodledo tasks, please read the Too­dle­doo infor­ma­tion page (http://www.lightarrow.com/toodledo-integration-information). 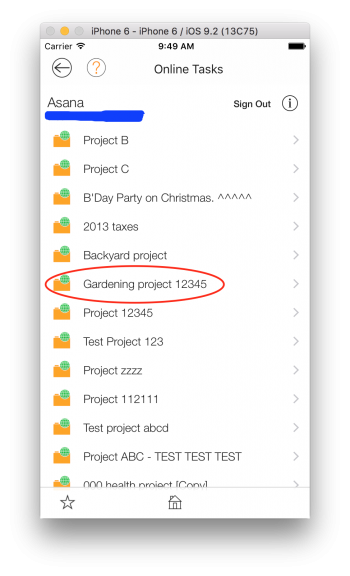 Also, Google Task sync is very similar. 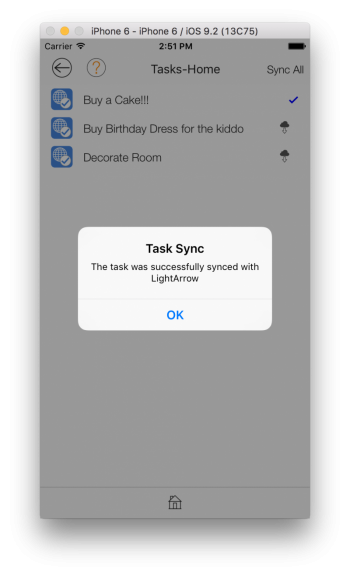 For more information on Google Tasks sync, read Google Task information page (http://www.lightarrow.com/google-integration-information). 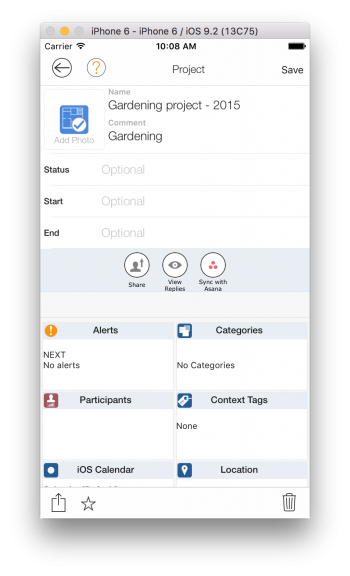 Asana task sync is initiated at the project-level. 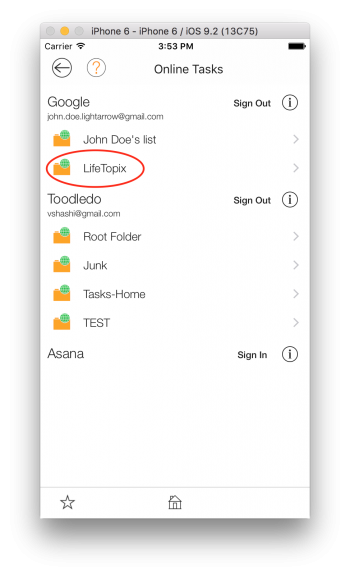 This is because we support Asana Project-Task sync. All Asana tasks are always within an Asana Project. The Asana tasks cannot be created without a project. 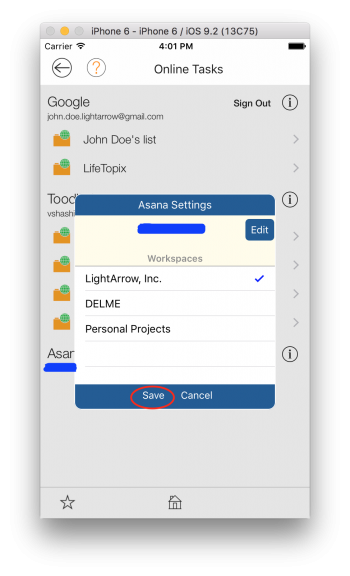 When you sync Asana project, we create a local project that is synced and linked with the Asana Project. 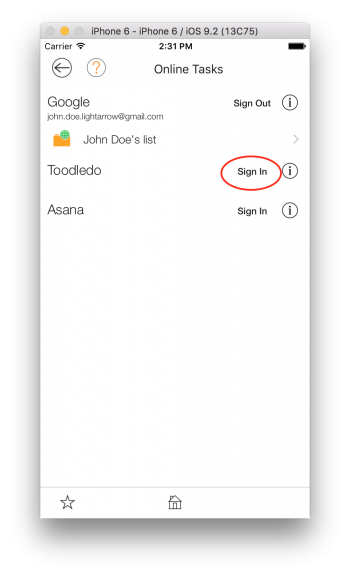 Notice that there is no way to sync a single Asana task, if the Asana Project is not synced yet. The “Sync All” option here syncs the Asana Project and all of the tasks in that project. 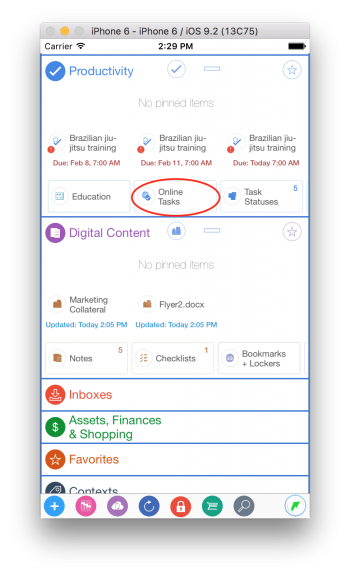 Notice that the synced Asana task is a local task that is linked to the corresponding Asana task. 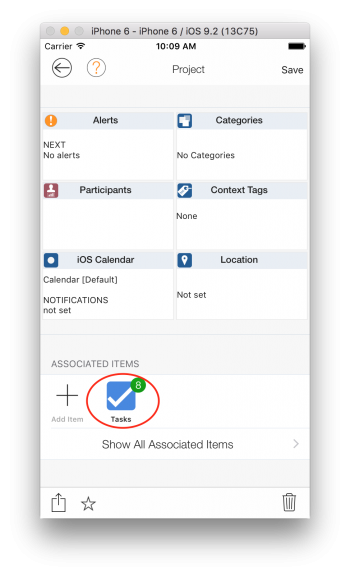 You can always modify the local task name, status, due date, comments, etc. and save. During the save action, the Asana task is also updated and saved with the updated information. 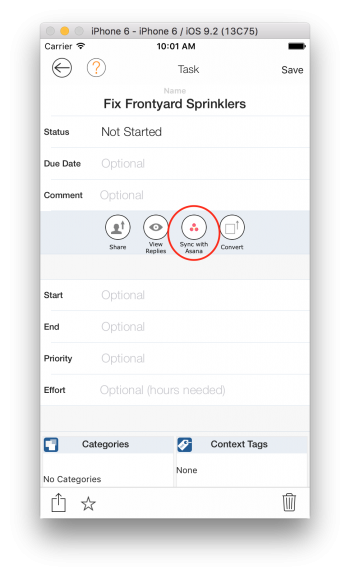 Alternatively, you can just tap on Sync with Asana and the remote Asana task last updated timestamp is compared with the local synced task timestamp and the task with the most recent timestamp will replace the other counterpart. 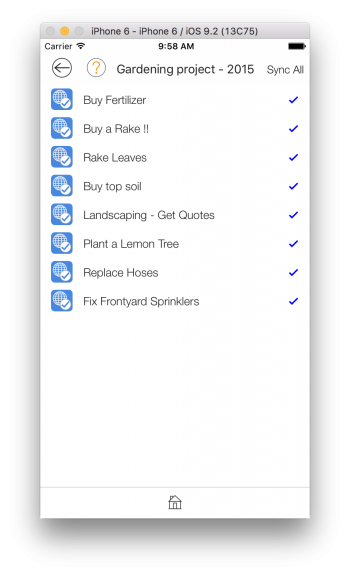 All the sync’ed tasks and projects can be used just like normal projects and tasks. 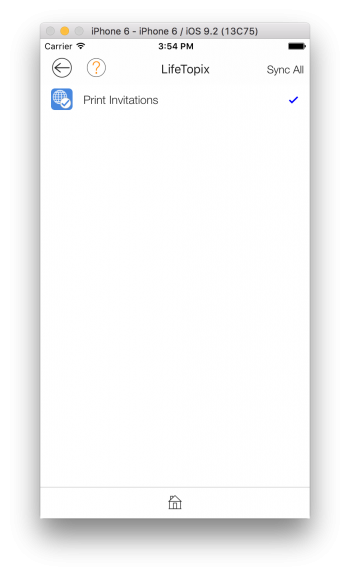 They can be associated with other objects, they can have context tags, etc.